Okay, a quick update of the progress of the little Goblin character. I’ve got the body proportions and look pretty much as I want them now. Still quite some detailing to add to the body to get it more interesting (and clothing of course) before I start painting him. 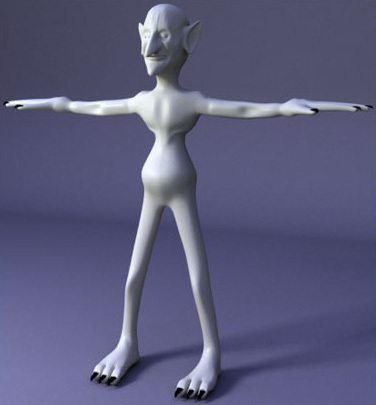 This is what his body more or less will look like.